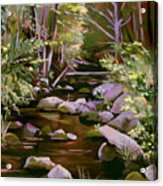 Quiet Brook iphone x case by Nancy Griswold. Protect your iPhone X with an impact-resistant, slim-profile, hard-shell case. The image is printed directly onto the case and wrapped around the edges for a beautiful presentation. Simply snap the case onto your iPhone X for instant protection and direct access to all of the phone's features! 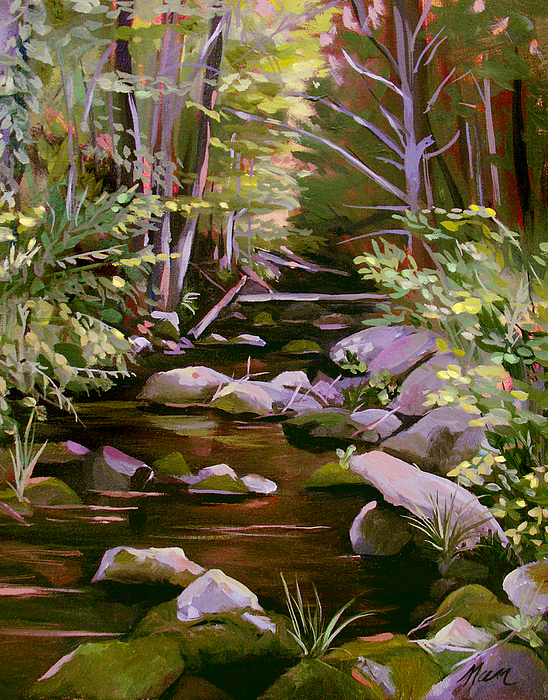 I love, love your signature touches of violet in the landscape Nancy. The moss on the rocks is just wonderful. F/L. You can be very proud to be featured! 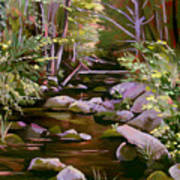 This a truly lovely painting and you have succeeded in making the viewer wish they could be there! CONGRATULATIONS, Nancy! This is my Administrator's Choice of the Week in the fine art group, Old MASTERS--Painters and Traditional Arts! Absolutely gorgeous with great color scheme! v/f/feature/pin, g+, fb promotion. OH WOW!! Thank you so much Lenore, I am grateful and honored!! This is gorgeous! I love it!! v/f!! really wonderful feeling Nancy, I am transported to this beautiful, serene creek! 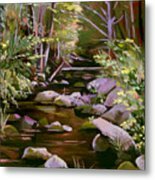 Glad to have you on as a member of our group, Wisconsin Flowers and Scenery, Nancy! Thanks for sharing your talents, such as displayed in this lovely painting, with all of us. All your work is amazing, great job on this one.